I love monkey bread!! My mom used to make it all the time growing up as a special treat especially on Saturday mornings while we would be watching Smurfs with my Dad. Typically monkey bread is made with canned biscuit dough and it is so good, even though I hate the thought of what is in those store bought biscuits. I honestly doubted my sister when she said she wanted to try making it with her biscuit dough recipe instead. I just didn’t think the texture would come out right.. but to my surprise it turned out to be so amazingly decadent. Each piece just melted in your mouth.. it was almost like eating chunks of really amazing cake donut coated in buttery cinnamon sugary goodness. I think the dough recipe actually would make really great donuts if you fried it.. I’m gonna have to try that soon! Anyway, I hope you try this and give me your thoughts on it!! It’s a great kid pleaser, or guest will love you if they wake up to this treat in the morning. knead just a few times to smooth out..
Place in center rack of oven and bake for about 25-30 minutes or until top is nice and brown. Plop pieces into bundt pan. So good with your favorite cup of coffee! 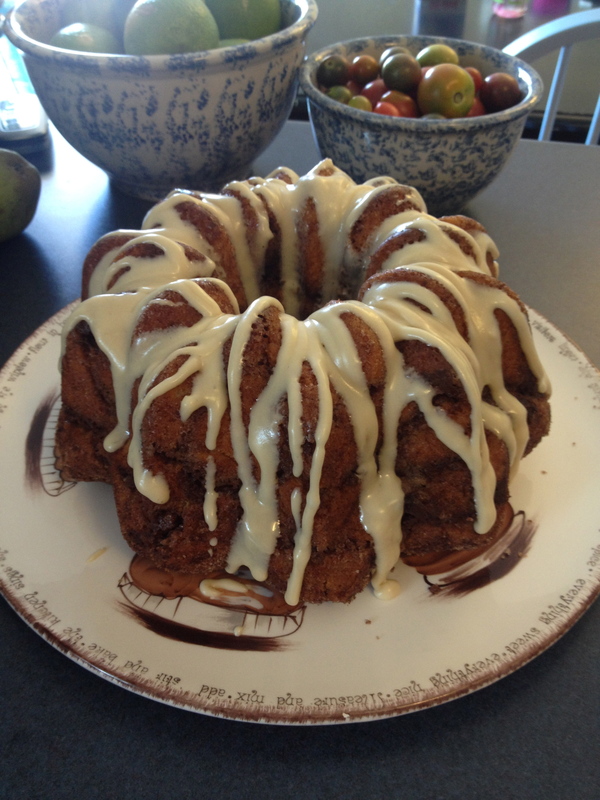 This entry was posted in Recipes and tagged breakfast, cinnamon, dessert, monkey bread. Bookmark the permalink. 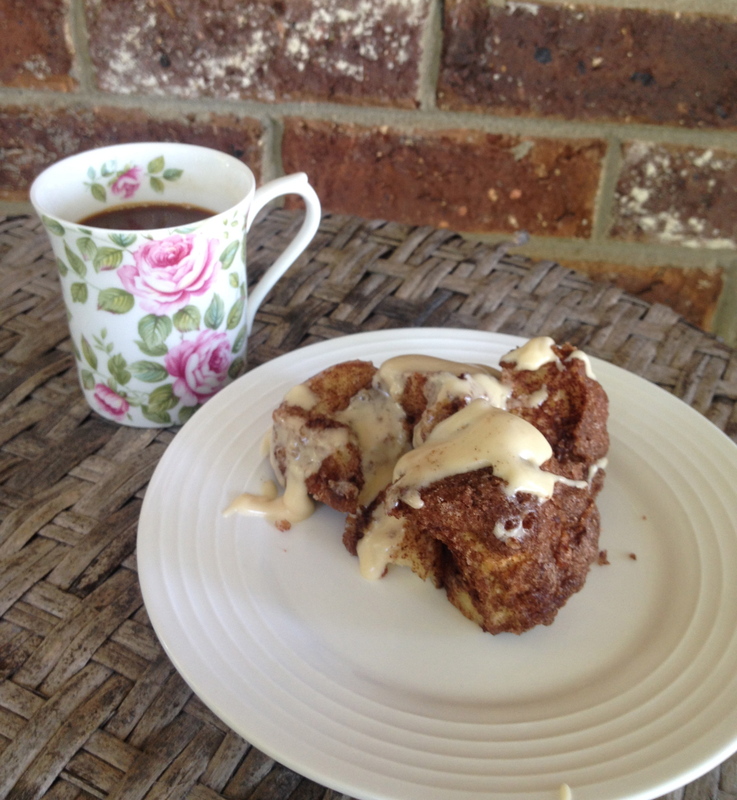 My kids ask for your monkey bread regularly, so I will try this! Thanks!